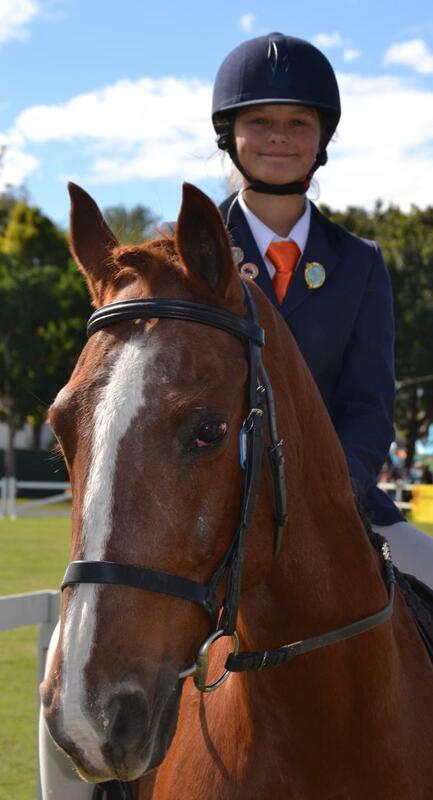 Being a mounted games rider for many years I never thought that I would find myself in a showing arena, nevermind being one of the riders competing at the biggest showing show in KZN. What an amazing experience it was! In so many different ways. Weeks on end leading up to The Royal Show show we practiced day in and day out not just the riding part, we practiced the turn out as well in order to get the horses and ourselves show ready. 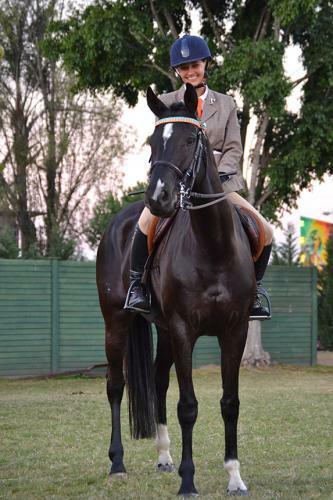 For the first time My horse and I had to become “showing Queens”.We had to learn how to sew plaits for the first time, aswell as all the tricks of the trade when it comes to turning out your horse correctly for the different showing classes. Knowing I’d be so far away from home for so long was difficult but it became easier as the days went on because of the company I was with. It was so rewarding seeing all our efforts and hard work paying off and watching everyone of us pull together as a team. On average I rode 3 classes a day, and the stress was undeniable. Fortunately I had a great team who helped calm my nerves and make sure my horse was turned out in time. “Its show time!” looking around at the horses I was competing against and the proper “Showing queens” I thought to myself “I dont stand a chance..” But the judges were so amazing and helpful that they really helped motivate me to keep trying my hardest. My first class I went in to the arena so stressed and worried about what the outcome was going to be and the jugde just looked at me and told me to relax and have fun. Once I did that I could see a masive difference in my riding and how well my horse went for me. I wasnt the only one that could see it even the jugde came to me and said how much better we were once I had calmed down and just enjoyed myself. There were many things at royal that were a first for me. But the most memorable one for me was riding a working riding test under the spot lights at the royal show grounds, I felt so much pride in my incredible horse “IEA Elite Grandwest Strawberry Secret” because she showed me I had nothing to worry about. For most of us that competed at The Royal Show , it was our first showing competion, we didnt know what to expect. But wow what a prestigous competition it was. I think I can speak on behalf of all of us that went, that what we learnt at royal show will definitely make a difference in our own riding as well as our teaching ability. 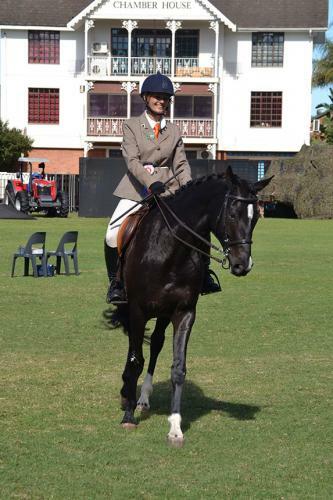 We will use this experience in order to help our learners at The IEA Elite get to that same level of riding. I definetly think the team I went down with was the most amazing team I could of ever asked for. I think if it was a different team It might not have been so enjoyable and memorable. I have so many great memories from royal that I will never forget. I am so greatful I got this opportunity to experince competing in one of the most prestigous shows. I was given this amazing opportunity by Taneil Arkner, Melissa Arkner and Rudi Schostar and I am forever greatful to them for taking me to new levels in my riding career.